TAP Portugal are the inaugural airline of the A330 900 neo and operated along with Airbus a proving flight from Lisbon to Rio de Janeiro. Some journalists and vloggers were invited along as well and one of the YouTube channels i follow did a video of the flight and the product that TAP will have on it's A330 900 neo's and it looks pretty good. TAP transatlantic expansion is continuing from Lisbon and also Porto. So what else is he planning? Neeleman rattled off the wish list for new cities on its route map: a second West Coast gateway in Los Angeles; a Midwest foothold in Chicago and Houston, both major hubs for United, which is TAP’s biggest U.S. codeshare partner. When it takes delivery of the A321neo, the opportunities go up exponentially—using the narrowbody to hop the pond will facilitate nonstops between smaller markets. Starting next year, TAP plans to start flying to spots like Providence, Hartford, and the Washington, D.C. area. If that formula sounds familiar, it’s because Norwegian last year began flying to some of those same secondary airports also with a narrowbody—the 737 Max—proving that passengers will tolerate a longer flight of up to seven hours on a single aisle plane, for the right price. Neeleman hasn’t said what fares will be, but it has its own version of a basic economy fare. There will be more nonstops to Porto, the northern gateway to wine country: This fall, TAP will increase its Newark-Porto service to daily, and will add Boston-Porto nonstops as well. TAP does offer more frills than the ultra-budget airlines that charge for meals and assigned seats. It just introduced a real business class, meaning it comes with fully lie-flat seats, wide seat-back screens and other amenities on the new A330neos, which will start arriving in September; the widebodies will have 298 seats, including 34 business class and 96 coach seats with more legroom. Azores (which few travelers could even find on a map a few years ago). United is flying a seasonal daily nonstop from Newark to Porto through October 3. Since 2016, the country has added 100 new hotels. How far can this go before Portugal becomes, well, the next overtourism poster child? There’s at least one brake on the boom, Neeleman points out—the limited capacity at Lisbon’s close-in airport, which has discouraged newbies like Wow from coming in. Government plans for a new airport to serve the capital have yet to move off the drawing board. “Lisbon is very tough to get into,” Neeleman said. And that automatically gives TAP the homefield advantage. New A330 neo start route proving world tour. The new A330-900neo that will be delivered to TAP Air Portugal later this summer is doing a world tour and will be en route to 15 major airports on five continents throughout it with the goal of conducting 150 hours of flight tests. This world tour started on the 19 of June in Lisbon with a presentation on TAP’s maintenance hangar. The event was attended by the president of Airbus as well as the president of the Portuguese airline. This plane is fully equipped with an “Airspace by Airbus” cabin with new and modern entertainment system, plus Wi-Fi internet. The aircraft is equipped with Rolls-Royce Trent 7000 engines that offer more comfort to passengers, as they have a lower noise level in the cabin and are modern and efficient. Plus, there is differentiated design: the aircraft features a new aerodynamic wing shape, which generates a fuel economy of approximately 14% and generates 25% fewer emissions of pollutants compared to other aircraft. TAP are launching LIS-TLV from April 2019 daily A321 service. Also reported new routes to Dublin and Basel. TAP Air Portugal has become the first airline to take delivery of an Airbus A330neo, with the hand-over today of its first of an eventual 21 A330-900s. Financed by Avolon, the twinjet will make its operational debut in the coming weeks on services from Lisbon to São Paulo in Brazil. Two further aircraft will arrive before year-end, with another 15 to be delivered in 2019. TAP chief executive Antonoaldo Neves, speaking at a delivery ceremony in Toulouse, said that by the end of next year, 78% of the carrier's flown block hours will be on the A330-900. Powered by Rolls-Royce Trent 7000 engines, the widebody is configured in a 298-seat, three-class layout. TAP will also add to its medium-haul fleet next year with the addition of the A321LR, says Neves, which will be used for transatlantic services. Are they on the A321neoLR do you know? A330 neo from what I've read. New service beginning next June LIS-SFO. TAP Air Portugal has announced San Francisco as its newest U.S. destination, saying that nonstop flights to its hub in Lisbon would begin in June. The move continues a rapid U.S. expansion for the Portuguese carrier, which also announced just two weeks ago that it would add service from Chicago O’Hare and Washington Dulles. The new San Francisco service will launch June 10. TAP will operate five flights a week on its new Airbus A330-900neo jets. With San Francisco, TAP will fly to eight destinations in North America, including seven in the United States as well as Toronto in Canada. Neeleman had already hinted that San Francisco was being considered as a new destination in a November interview with USA TODAY’s Today in the Sky blog. "The West Coast is important to us," Neeleman said then. "There are a lot of Portuguese that live in that area. Getting from the West Coast to Lisbon is an important market for us." TAP has grown aggressively both in North America and in Europe since Neeleman bought a stake in the carrier in 2015. He’s been particularly bullish on the North American market, saying even more destinations are likely in the coming years. 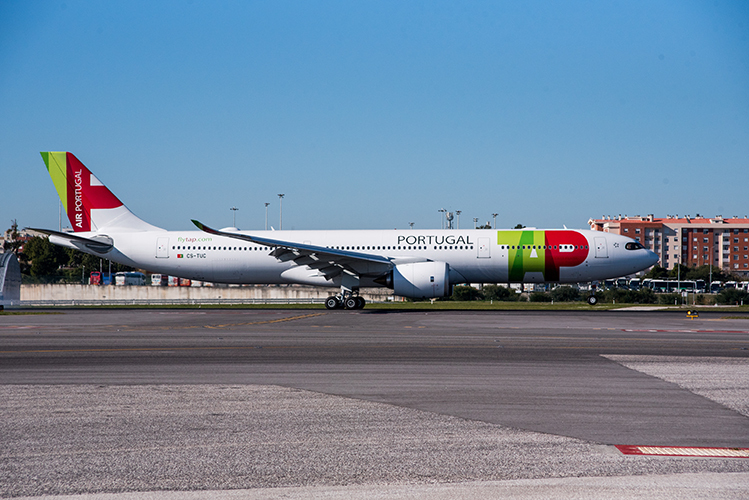 TAP’s Chicago-Lisbon flights begin June 1 while the Washington-Lisbon service starts June 16. Beyond TAP, Neeleman also has big plans for the U.S. domestic market. In June, he confirmed that he’ll launch a new U.S. airline, codenamed “Moxy” in investor presentations. Neeleman and investors have already placed an order for 60 Airbus A220 planes for the effort. The first jets from that order won’t arrive until 2021, but – given Neeleman’s successful track record with startups like JetBlue, Canada’s WestJet and Brazil’s Azul – the effort has generated a lot of buzz. For now, Neeleman was relatively tight-lipped about plans for his new U.S. start-up. “I think it’s kind of premature. Planes have to get delivered,” he said to Today in the Sky last month. “Once we get them, we’ll be able to talk more about it." TAP Portugal's first Airbus A330neo visits Miami International during a pre-delivery proving flight run by Airbus on June 23, 2018. Is Tel Aviv a new route? Yes it is relatively new. They are also going to use the A321 neo LR on OPO-EWR as of June. Replaces A330-200s plus a frequency increase from 2 per week to 6 . They are definitely in expansion mode! Will be interesting to see how alot of these airlines get on operating the A321NEOLR across the Atlantic. 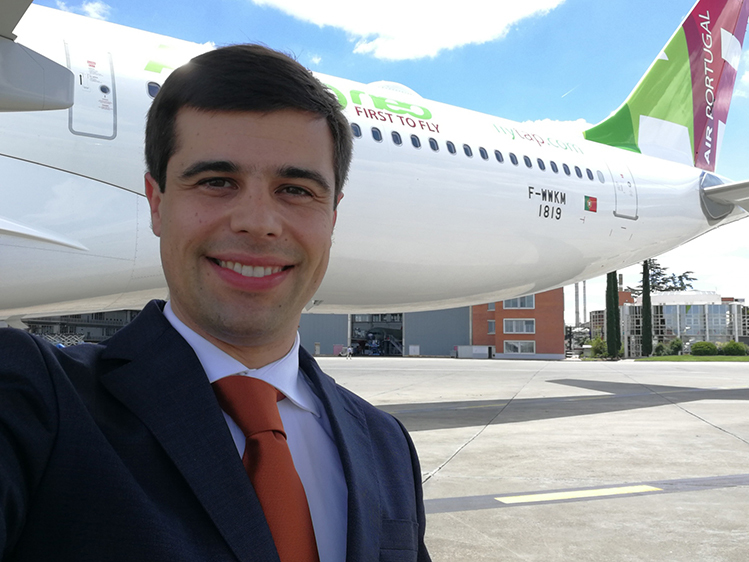 Nick Preston talks to Nuno Leal, Head of Fleet Planning and Contracts, TAP Air Portugal, which became the first operator of the A330neo and will begin operations with the A321LR in 2019. Portuguese flag carrier TAP Air Portugal has experienced a number of key developments in recent years, beginning with its privatisation in 2015. More recently, it has embarked on a fleet modernisation programme that saw it become the first operator of the A330-900neo. It is also adding A320neo family aircraft to renew its narrow-body fleet and will be an early adopter of the A321LR. TAP’s current mainline fleet consists of 75 aircraft, including: 20 A320s, 21 A319s, four A321s, two A320neos, five A321neos, 12 A330-200s, four A330-300s, four A340-300s, and three A330-900neos. There are a further 17 aircraft operating under the TAP Express brand, including four ATR 72-600s and 13 E190/195s. “We expect to have a total of 17 A330-900neos flying before the end of 2019, completing a major widebody fleet renewal plan that comprises the phase-out of 13 older generation aircraft. This represents a key investment in more efficient aircraft and a much better product for the passenger,” says Leal. By the end of 2019, TAP will be flying over 75% of its wide-body block hours in new generation aircraft. The total planned A330-900 fleet will reach 21 units. The A319/A320ceo renewal process started in 2018 and is due to continue in 2019 and onwards. The A319s are being replaced by A320neo and A321neos, which burn less fuel and will also ‘upgauge’ the fleet. TAP has orders for 14 A321neos and 20 A320neos. Some of these will be used to replace older generation aircraft that will be retired, while others will be deployed to continue the impressive growth that the airline has seen during the last few years. On the narrow-body side, the A320neo and A321neo save 20% in fuel burn compared to the older aircraft. This means that the A321neo is burning less fuel than the older A319s, while carrying up to 72 additional passengers, resulting in a major reduction in fuel burn per seat. It is this level of improvement that TAP is targeting to better position itself as one of the most efficient airlines in the world. Portugal’s geographic position is a natural gateway from Europe to North America, South America and Africa. These new generation aircraft will help TAP explore this positioning even further. Article regarding keeping lifeline link for expats in Venezuela. Portuguese nationals living in Venezuela are nervously waiting to see whether TAP, Portugal’s national carrier, will continue to serve Caracas, after it cancelled a flight on Tuesday, citing a lack of operational conditions at the city’s main airport, Maiquetía. One Portuguese entrepreneur in Venezuela said he believed that, once Venezuela “stabilises the electricity system … the frequency of flights will resume”. Other Portuguese nationals said that they plan to travel to Portugal in the coming months, mainly June, July and August, and believe that “there will be more flights at that time”. The flight that TAP had scheduled for Venezuela on Tuesday was cancelled due to a lack of operational conditions in Caracas, a company official told Lusa. The airline is watching developments in Venezuela “very closely … to decide in good time on the Saturday flight” – the next scheduled service. Venezuela’s electricity grid has been down since last Thursday, following a breakdown in the El Guri hydroelectric plant, the country’s largest, that also affected two secondary systems and the main transmission line. On Monday, the government in Caracas suspended work and school for 24 hours, with this later being extended for a further 24 hours. In Caracas, electricity has come back on in several neighbourhoods, but intermittently. 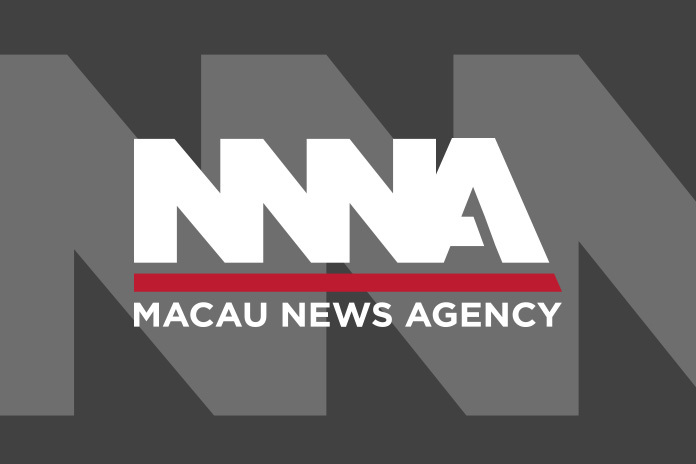 The blackout has affected fixed and mobile communications, payment terminals and internet access. It also affected operations at Simón Bolívar de Maiquetía International Airport, causing delays for national and international flights, and forcing several airlines to suspend services as well as manually check passengers’ luggage. New African service announced Lisbon to Conakry starting in July. TAP Air Portugal will launch flights between Lisbon and Conakry, capital of Guinea, on July 3rd. The Portuguese carrier will offer three weekly flights between the two capitals. Tickets are already available for sale on the new flights which will depart from Lisbon on Wednesday, Friday and Sunday at 19:25 and arrive in Guinea’s capital at 23:10. Return flights will depart from Conakry on Monday, Thursday and Sunday at 00:05 and arrive in the Portuguese capital at 05:30. With the launch of a new route to Africa, TAP now covers 17 African cities in 11 countries. New Airbus A321 LR have joined TAP's fleet to expand long range services. The first of 12 Airbus A321LRs has been delivered to TAP Air Portugal. The CFM International Leap-1A-powered aircraft is equipped with a 171-seat cabin, comprising 16 full-flat business seats, 48 “Eco Premium” and 107 economy seats.